Despite my lack of blogging for a while, I've been doing LOTS of crafting and that's included lots of metal work. 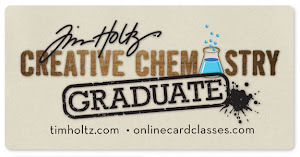 I promise I will catch up on projects over the next few weeks but, for now, here are a few pieces made using foil on card coloured with alcohol inks. 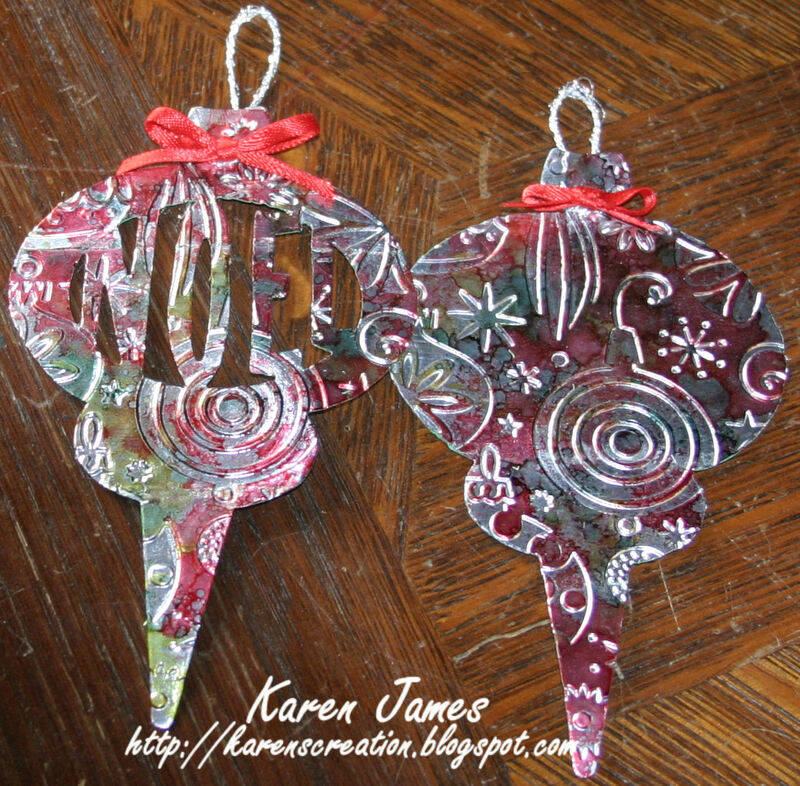 The ornaments were embossed before being coloured and are my entry for Grungy Monday #28 taking inspiration from Tim Holtz beautiful foil covered pumpkin. 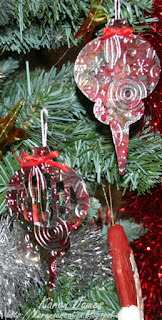 My ornaments follow the same technique except that I put the foil on to card before embossing it and used a blending tool to apply the alcohol inks. 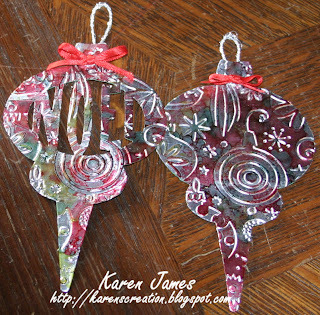 I'm also entering these to the Crafts 4 Eternity challenge: Christmas decorations. Just before I started to blog these I saw Sarah's lovely rosette hanging and took inspiration from that to make this little hanging of rosettes. I love how the foil and shiny colours catch the light: Ideal for this time of year. All of my foil pieces are backed on to the same shimmery green card that I cut the letters from so they are pretty from the back too. 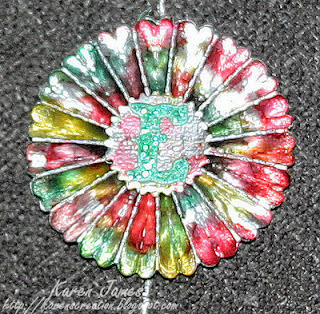 For extra shimmer I also covered these letters in Crystal Ice Stickles. I am busy making cards and other bits for a charity sale (le téléthon) next Saturday so these will get added to the mix, hopefully with a few others as they are quick and easy to do. 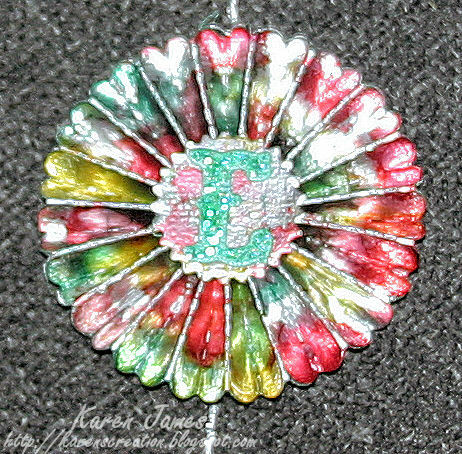 Materials: Tim Holtz dies: Carved Ornaments, 'Noel' mover and shaper, Mini-rosette, Vintage Market alphabet; Cuttlebug Ornament embossing folder; alcohol inks: Watermelon, Bottle, Citrus; sticky-back foil; Crystal Ice Stickles; Trimcraft Shimmer card.